Sea Vista Shellharbour is ideal as a relaxing couples retreat or family beach getaway. It is located in the picturesque and quaint village of Shellharbour and is only 50 metres to Shellharbour South Beach and ocean filled swimming and wading pools. Nearby is an award winning 18-hole golf course, many snorkelling and dive sites, fishing hot spots, bush walking tracks and a major shopping precinct. The property is just a short stroll to cafes, restaurants and boutique shops. Sea Vista Shellharbour is a self contained, two bedroom ground floor level of a house consisting of two bedrooms. Owners occupy the upstairs area. 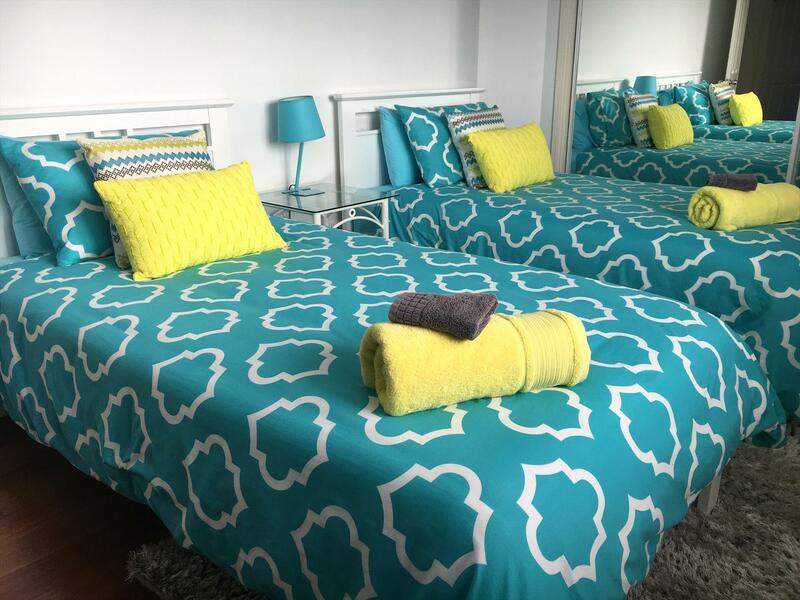 The accommodation has a separate entrance and can be booked as either a one bedroom or two bedroom stay. The master bedroom has a queen sized bed. The second bedroom has two king single beds. There is a modern bathroom, large living/games room featuring a full sized snooker table, TV and DVD player. The living area opens onto a large under covered entertainment area with barbeque. The master bedroom has a queen sized bed. The second bedroom has two king single beds. There is a modern bathroom, large living/games room featuring a full sized snooker table, TV and DVD player. The living area opens onto a large under covered entertainment area with barbeque. A small kitchenette provides tea/ coffee making facilities, toaster, microwave, refrigerator, food preparation areas and laundry. 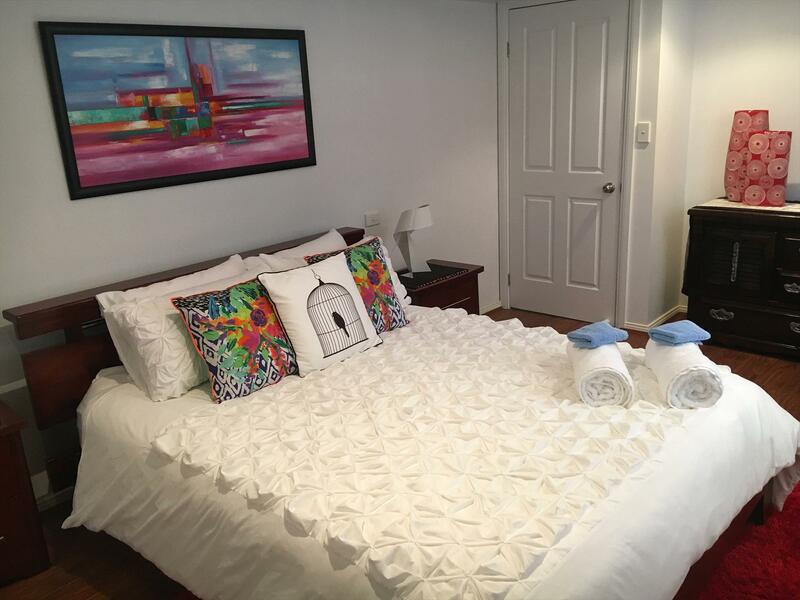 Linen provided includes sheets, pillows, pillowcases, blankets, doonas, bath towels & tea towels. Please note: This property has a no party policy. Unfortunately no pets are allowed. No smoking. Head south along Shellharbour Road turn left at traffic lights into Addison Street. Follow Addison Street down to then end and around the harbour and rock platform. Turn left into John Street. Located in Shellharbour Village. One bedroom self contained unit with queen bed with living/games room and undercovered entertainment area with BBQ and separate entrance. For stays of up to 14 days in duration if cancelled within 7 days from the date of arrival one night’s accommodation will be charged. For stays of 15 days or more in duration if cancelled within 28 days from date of arrival a cancellation fee of 20% of the total booking cost will be charged. For all other cancellations a $100 cancellation fee will be applied. No refunds will be given for no shows or early checkouts. Number of guests must not exceed the number stated on the Confirmation notice. Visitors of guests must vacate the property by 11pm. Damages/ breakages/ theft or loss during your stay is the guest’s responsibility. Owners take no responsibility for loss of guest’s personal property. Variations to these conditions may only be made by prior arrangement in writing with the owner.